The earth is a huge conundrum and the nature keeps on showing its magic in a million ways. The Death Valley in California is one of the driest zones on earth and its tough landscape and high temperature make it difficult for life to grow and sustain. But then the mystic nature sometimes swipes its magic wand and life blooms. 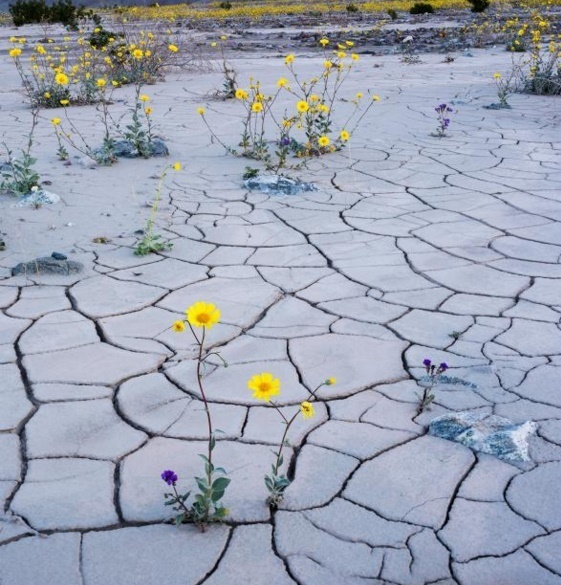 This has happened in the barren Death Valley in California where a huge gush of rainfall has managed to recreate life. The Death Valley has restricted creation of life on itself owing to its dry and extreme hot weather. The Death Valley National Park holds the world record for hottest temperature at 134 F in 1913. So you can imagine what the climate in Death Valley be like. But every ten years, an above average heavy rainfall forces flora to sprout out of the dead landscape and create a host of wild flowers. This phenomenon of transformation is called the Super bloom. 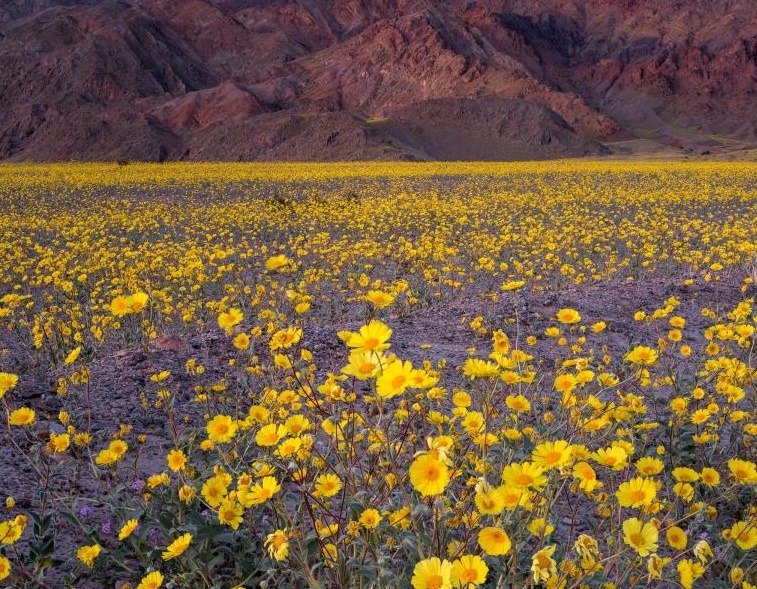 More than 20 species of flowers have blossomed creating a sea of vibrant colors. The flowers that are now waving their heads merrily have transformed the barren Valley into a heaven of flamboyant colors. However the flowers will not last long to spread their beauty. As soon as temperature again rises, the flowers will dry up and eventually die. So the beauty is temporary. The event occurs every 10 years. This is a long wait of a decade to witness this heavenly phenomenon. The super bloom is not only beautiful but also inspiring. No matter how long it takes, or how hard situation is, life does make its own way out of all hardships.